Home MAKE IT COUNT ! Philanthropy comes in various forms. One among them is empowering the youth. 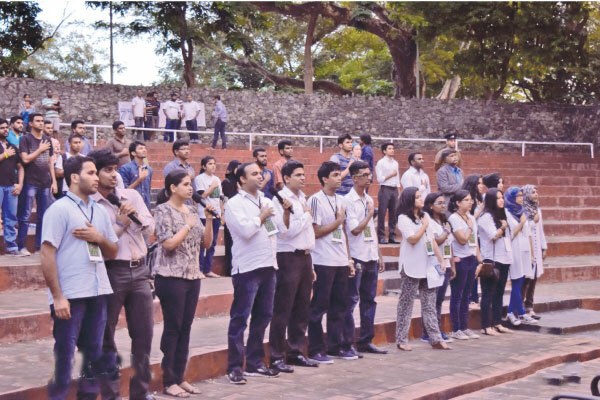 Believing that empowerment will not only help the youth develop their knowledge, skills and abilities but also enable them to reconcile and work together in harmony Prashan De Visser formed Sri Lanka Unites (SLU) in 2007. The youth movement which is aimed at creating hope and reconciliation has snowballed into a mass gathering of young professionals from all ethnicities and religions who work towards creating awareness and understanding among the various cultures and religions in the nation. Working on voluntary basis the members of the team head projects which promote reconciliation to create a peaceful and prosperous nation for the future generation. 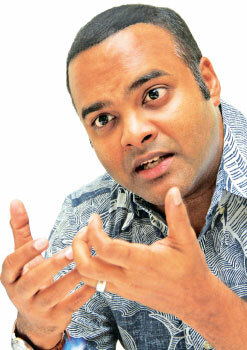 The Founder and President of Sri Lanka Unites and Global Unites Prashan De Visser. De Visser has incepted SLU because he noted that one of the major issues in the nation during that span was the need for reconciliation between the citizens. “I wondered if it is possible to create a young nation to counter the division between the ethnic groups. Post Independence Sri Lanka has lost 400,000 people in senseless violence. Every 15 to 18 years we have had bloodshed. We need to stop this cycle of violence. I wanted to create a youth movement which can find solutions and can be manipulated to be the power,” he explained on how SLU took shape. 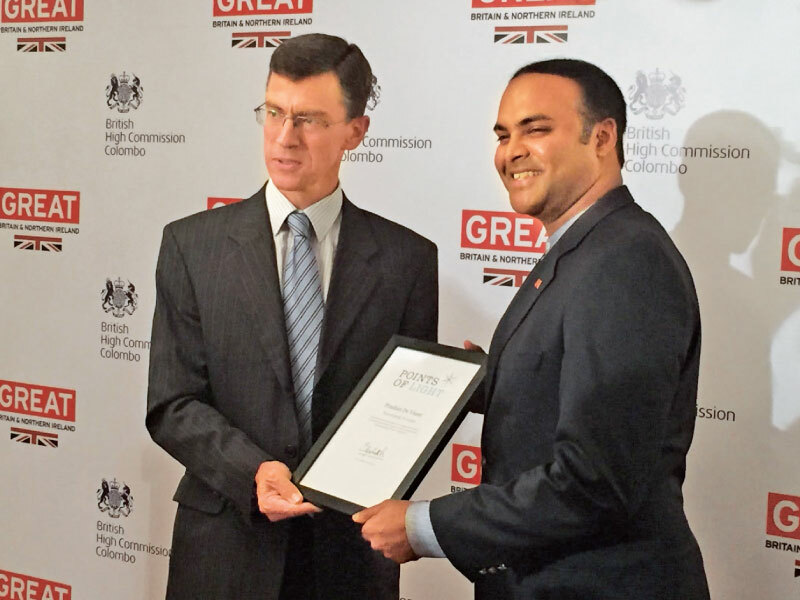 His work has been recognised and he was awarded the Queens Point of Light for Sri Lanka recently. The award is given to volunteers from the Commonwealth countries who have made outstanding contributions to the country or have spearheaded projects to bring about change for the betterment of the society. De Visser was the second Sri Lankan to win the award. Their flagship event is the Future Leaders’ Conference which brings student leaders from all parts of the nation under one roof for a five-day residential conference. 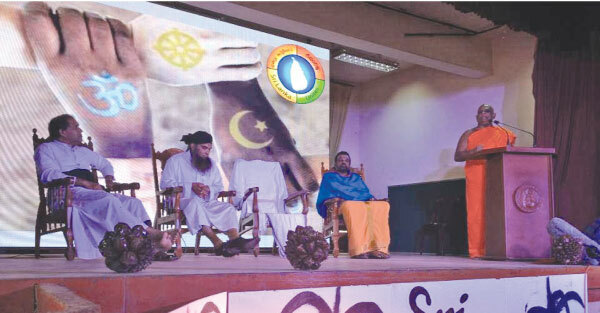 The event helps student leaders from diverse backgrounds and ethnic groups interact and identify challenges within their setup and encourage them to resolve the issues as Sri Lankans rather than look at it as a segregated group. They are also able to resolve prejudices that have been formed about each other at the event. The conference has been held in Jaffna, Kalmunai, Galle, Kandy, Matara, Kurunegala, and Puttalam for nine consecutive years. “According to our research over 70 percent of Sri Lankan youth do not have a friend outside their ethnicity or religion. When they meet for the conference and exchange ideas and learn about each other’s lifestyle, it leaves a huge and lasting impact,” De Visser explained. Another one of their campaigns titled ‘Show You Care’ aims at mobilizing youth to take intensive action raising awareness on the issue of harassment of women in public places and to bring the attention of the public to the existing laws and the legal measures relevant to harassment. It involves engaging serious thought at policy making level so that the existing laws are implemented and that the policies are reshaped and strengthened. The team has set up Reconciliation Centers in diverse districts across Sri Lanka in Mullaitivu, Matara, Kalmunai, Monaragala and Nuwara Eliya. These educational hubs are initiated to give opportunities for youth to strengthen their aptitude in Information Technology, language skills and entrepreneurial education skills. The youth are also provided with career guidance and counseling facilities which will lead to creating more employment opportunities for them. They plan to establish the next Reconciliation Center in Puttalam. “These individuals who have had very limited opportunities in life will not only be armed with skills for their future but they will be able to work towards a united Sri Lanka, moving away from their secluded community. We also have the All Island Schools Relations Tour. Student leaders engage in projects like public speaking, street dramas etc in different districts. We also have the ‘Think’ programme which brings inspiring slogans, quotes or symbols from each religion into the spotlight,” he said. Queried on what he enjoys most about his work and De Visser said that working with young people is a fulfilling experience. “At times it is very difficult to change the mindset of the elder generation because they have been schooled to think differently by their parents and background. However the younger generation is more open to thinking differently and is curious about new aspects. There is more potential in them to create change,” he opined. Two or more schools from diverse ethnic, religious and social settings are linked in the ‘Champions of Change’ initiative. They work on projects addressing specific needs of the community. Reaching across continents De Visser has been able to engage the Sri Lankan diaspora in Toronto, Melbourne, Wellington, London, Washington DC, New York and Los Angeles. Soon countries with reconciliation issues like Uganda and Congo reached out to them and requested to start similar movements. Thus Global Unites was born with the goal of initiating conflict transformation. Sri Lanka Unites, Liberia Unites, Colombia Unites, Uganda Unites, Kenya Unites, Congo Unites, Afghanistan Unites, Myanmar Unites and Palestine Unites all fall under Global Unites and operate similar programmes with the head office functioning in Colombo. The inaugural global summit which brought student leaders of 18 countries together was in 2015 in Sri Lanka. The second summit is due to be held in Nairobi, Kenya from August 5 to 9, 2019. Social service activities are second nature to De Visser. An old boy of Wesley College, Colombo, De Visser has seen his father, Adrian De Visser and his mother, Ophelia, engaging in acts of generosity and kindness from childhood. He has a sister, Thilini who is educated in psychology and is involved in work in Cambodia. “They inspired me and have been supporting me. My faith - the teachings of Christ – is also very important to me. We are schooled to love our neighbour, love our enemy and do good to them that hate you. The current situation in the country also motivated me to do my bit because I realized that if we guide the future generation well, they can make a difference,” he said adding that William Wilberforc who stopped the slave trade in the British Empire too is someone whom he looks upto. Speaking about the issues youth face today De Visser says that an educational system that leads to somewhere is essential for youth. “They do not see a ladder leading them to a specific place. Some enter university but a majority is frustrated about this issue because they do not have any security. Sri Lanka has one of the top suicide rates in the world. The reason for this is young people do not have hope or progress. We recently did a survey asking young people that if they have the option of leaving the country will they take it up and around 60 out of 100 said that they would leave. Those are very high numbers and will result in more brain drain in the country. We are losing a lot via migration. Unfortunately, The country has not addressed these problems yet and we are hoping that as the next generation we can find a solution to this issue,” he said. Sri Lanka Unites has also been recognised at the Common Wealth Heads of States (CHOGAM) held this year in London when they announced their name as one of the top 20 grassroots movements in the Commonwealth region. De Visser’s dream is to see Sri Lanka as the model for youth lead change in the future. “You have a responsibility. If you are not part of the solution, you are part of the problem. Every young person is part of Sri Lanka’s solution. If you go abroad for education, educate yourself and come back. Do not be discouraged. Give your life to see the country changing,” is his message to the youth.